Enjoy views of the bay and sunsets from the second floor of this 4 bedroom, 2 bath Stone Harbor townhouse. 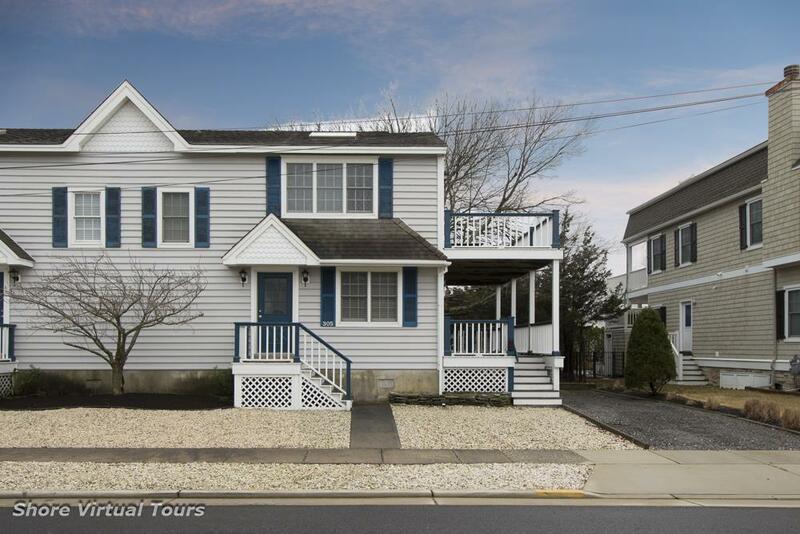 Located in the popular south end of Stone Harbor and situated close to the Bird Sanctuary, and local market and eateries. The first floor features a foyer with adjacent laundry area, full hall bath, 2 bedrooms and a third bedroom which is currently being used as a den. Sliding doors provide access from the third bedroom to the covered deck. The second floor offers the master bedroom with ensuite bath, expansive light filled great room, dining area and kitchen. Step through the sliding doors from the dining area and onto your large second floor deck for peeks of boats gliding by on the bay. Discover all that the south end of Stone Harbor has to offer. Popular rental property.